The final exhibition of 2015 at the Fan Museum is an exciting collaborative effort between the museum and Hong Kong-based author and collector Edwin Mok. 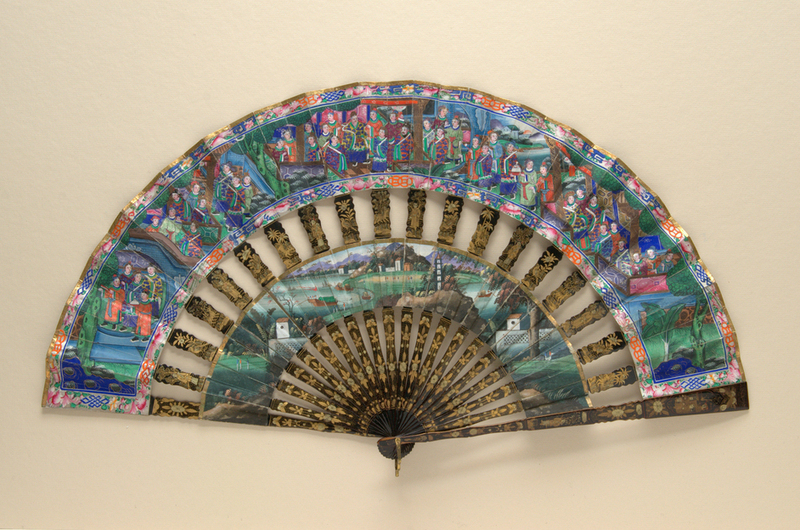 Very fine Chinese export fans from both collections are shown alongside embroidered textiles and ceramics, well timed to coincide with Asian Art in London, which brings together over sixty of the world's top dealers, major auction houses and museums for an annual ten-day celebration (from 5th to 14th November 2015). What are the best dining options near Chinese Export Fans London? Chinese Export Fans gyms, sporting activities, health & beauty and fitness. The best pubs near London Chinese Export Fans. Chinese Export Fans clubs, bars, cabaret nights, casinos and interesting nightlife. Where to have your meeting, conference, exhibition, private dining or training course near Chinese Export Fans. From cheap budget hotels to luxury 5 star hotels see our special offers for Fan Museum hotels, including Holiday Inn Express London Greenwich from 86% off.